They look pretty cool for a Not-Carnival of Nurgle range. I would love to have a Citadel Carnival of Chaos, but the cost of the models on the second hand market rules it out for me. These models will fill that niche for me in some upcoming Mordheim games, which will be great I reckon. Really like those, they’ve been firmly in my “if I had a use” mental box. Your paintjob is spot on! The Circus could feature in a few of my settings I think. These are primarily being painted for use in a Mordheim type setting, but they could be used in a post apocalyptic setting pretty easily I think. The last time that I painted any Nurglesque figures I wanted to avoid too much of the very familiar green and brown palettes, so I painted my Sin-Eaters white. 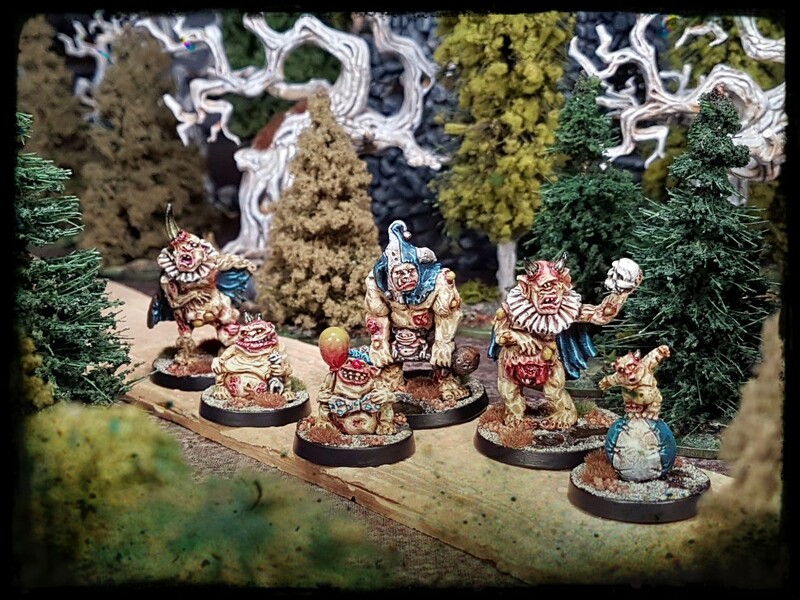 Twenty years later I wanted to make sure that while being obviously Nurgle figures at a glance, I still wanted my Circus to have their own identity. Im genuinely pleased that you mentioned it, thanks! I was so very tempted to add some holsters and maybe the occasional bionic or gas mask to these guys for that sort of gaming Alex. There is plenty of precedent after all. I’m looking forward to seeing those! These look great. I really like the how you did the motley on the strongman. That balloon is epic. I don’t think it’s filled with air. The balloon is definitely supposed to loot like it will make a wet “pop” when it bursts. Presumably against a giant bathroom mirror. The motley added a little bit of blue/green to key off the yellowish flesh. It also added a little bit of a heraldic vibe, that nicely sets the models in an appropriate era I think. Im looking forward to seeing your take on some of these Mr S! Nicely done. These do look like fun models. The models have enough gross out charm to make painting (and hopefully gaming with) them a particularly entertaining experience. I’m looking forward to some games with them soon. Pretty cool stuff! I love the creepiness! 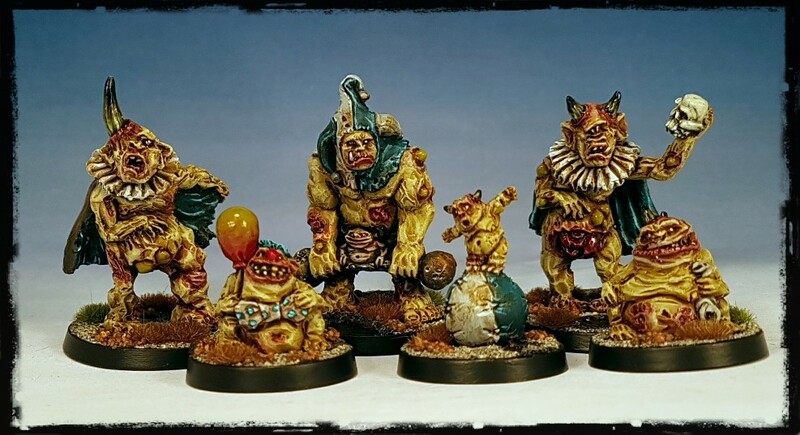 Creepy carnivals are a rich vein and the Nurglesque paradox of cheerful decay is extreme with these sculpts. Lots of fun. Great to see you updating again. The hooded guy centre back looks great. The blue green you’ve used really works with the pastel green of the flesh. Look forward to clashing against these with my Snake Wizards in the future. Thanks Curis. I’m still hanging in there, even if posts are great the moment. 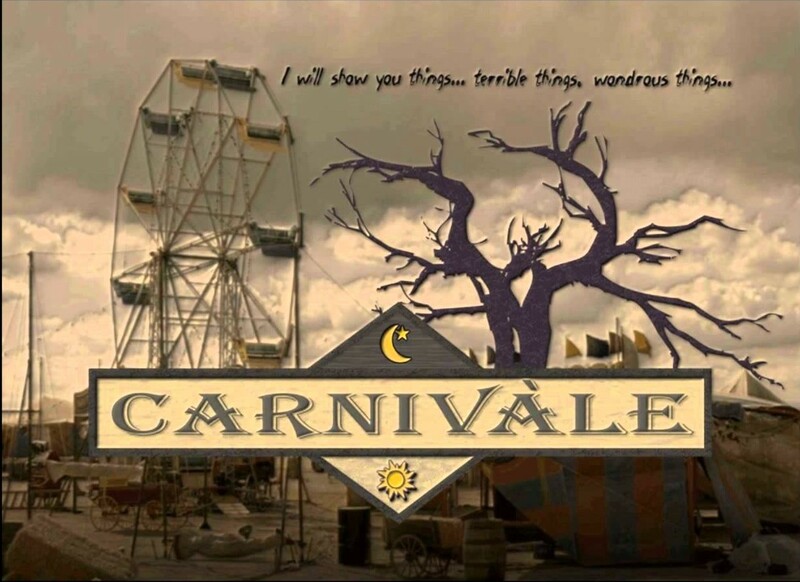 Corrupt snake wizards vs creepy carnies sounds like a helluva a date to me!